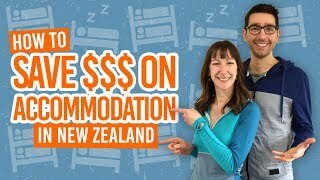 Why take a road trip in New Zealand? Because it’s freakin’ awesome! But if you need more convincing, we have a compiled a list of why we love road trips in New Zealand. Not only can you enjoy have the freedom to discover this amazing country, but you can have some great experiences along the way with fellow travel buddies. After all, as cliche as it sounds, it’s not about the destination, it’s about the journey. All great journeys start with buying or renting a car, so be sure to check out our advice in our Buying a Car in New Zealand Step By Step guide. Plus, before you hit the road, make sure you have a legal driver license. Find out more in How to Drive in New Zealand and Converting Your Driver License into a New Zealand Driver License. Stop everywhere! You see an incredible view; stop and take a photo! You see a flock of sheep blocking your path; stop and take a photo! And so on. On road trips you get to spend a lot of time with your travel buddies, whether you have brought them from home or found them in your hostel. The more people you travel with, the more ways you can split the cost of fuel and food. For more ways to save money on the road, check out 11 Ways to Save Money and Stretch Those Dollars Further. Drive your car to places the tourist coaches don’t go. For some reason, road trips warrant packing more snacks than you can eat. Need to pop to the supermarket? Get there quickly and easily in your ride. (By the way, you can learn more about food shopping in New Zealand here). You have pure flexibility with your own car. There’s no need to wake up at stupid-o’clock to catch the earliest and cheapest bus or wait for public transport. Because you are awesome and have a car. No restrictions. No need to take everything out of the car every time you stay somewhere. No worries. Top travel tips to have the best New Zealand road trip! Here at BackpackerGuide.NZ, we love nothing more than sharing our travel tips with fellow backpackers. Read these articles to see how you can make the most of your road trip.